Bacone College says it's here to stay and it's all thanks to a recent purchase of land in Muskogee, which will help keep the historic school's doors open. A local businessman bought a shopping center from the college for $3.5 million which is allowing them to open doors for students this fall. The Bacone College Chairman of the Board of Trustees, alongside the recently appointed president, made the announcement Friday morning. They are thrilled to keep the historic college open this fall. They hope to bring in more than 400 students. While this is good news for them - they'll still be resized because of the budget issues. In order to reduce expenses, they're downsizing some of the academic and athletic programs. 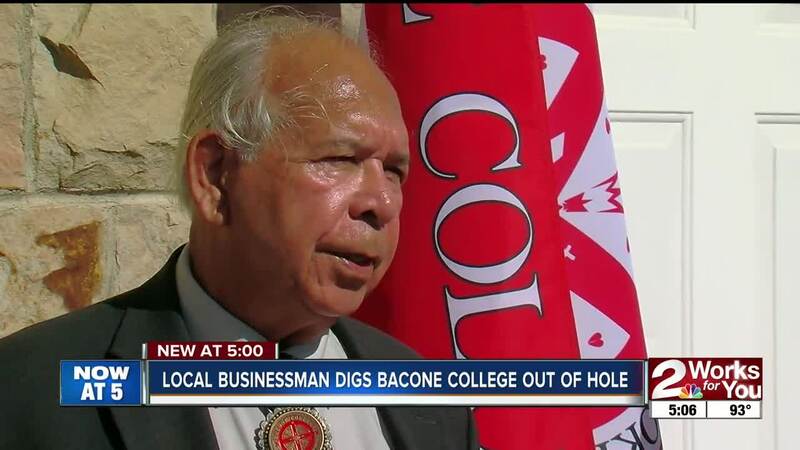 Bacone College laid off 90 faculty and staff members back in May because of the $2 million budget hole. They hope the recent spike in funds will help them work towards hiring some back. Officials hope this helps attract higher enrollment numbers to keep the college alive. The fall semester starts on August 15.